William Michael Harnett achieved enormous popularity with a type of still life that involved the use of trompe l’oeil. This concept, which offered a modern rethinking of the traditional vanitas using everyday, contemporary objects, had a profound influence on American painters and a series of great masters of trompe l’oeil arose around the end of the 19th century. Some of Harnett’s compositions were so successful that they were imitated by his numerous followers. Objects for a Leisure Hour conveys the sense of recent human presence through the smouldering pipe resting on the edge of the table, the used matches and the half-eaten biscuit and its crumbs. The sense of fleeting time is also conveyed through the folded-up newspaper in the middle-ground, with its date of publication visible. All these objects are seemingly arranged at random but reveal a subtle sense of harmony and carefully meditated equilibrium. Shortly before painting Materials for a Leisure Hour, William Harnett had learnt to master the complex, painstaking trompe l’oeil technique, which he would regularly use thereafter. 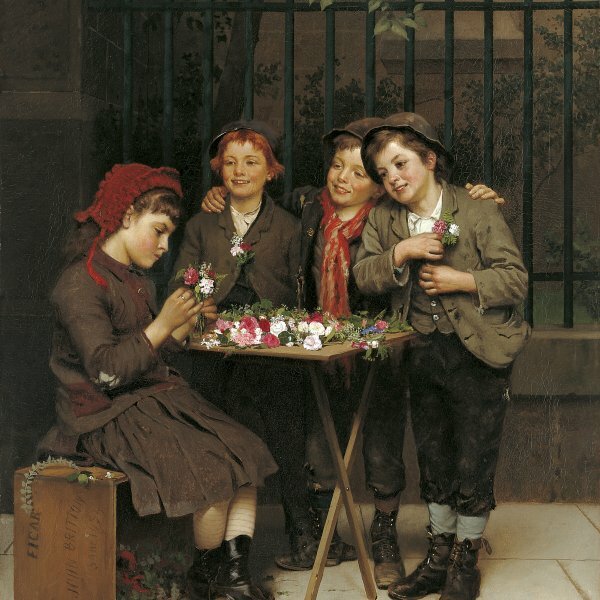 This technique gained significant popularity in America in the late nineteenth century as a result of fin de siècle moral concerns, which revolved around the fleetingness of life and questioned material wealth. 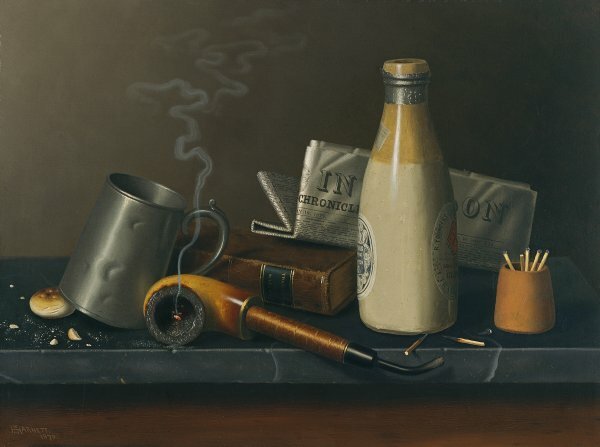 Drawing from the tradition of Dutch painting, the still lifes of seventeenth-century German painters and the work of the Boston artists Raphaelle Peale and John F. Francis, the most distinguished still-life painters of the previous generation, Harnett created a modern world of illusionism. 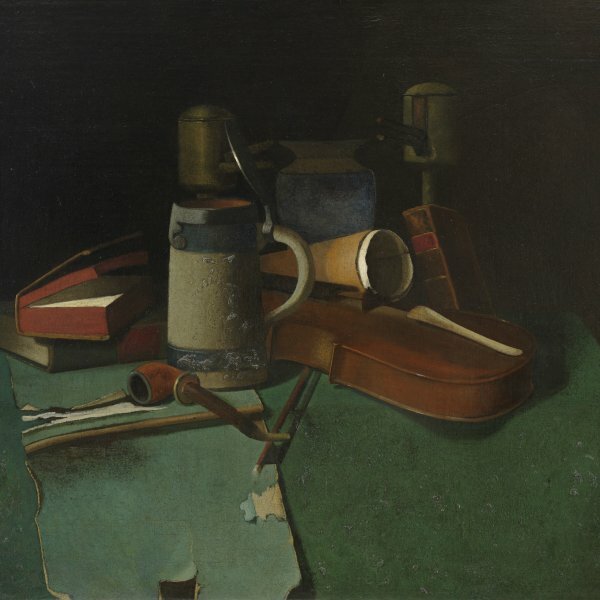 His original still lifes, which establish an uncanny play between fantasy and reality, set him apart as the undisputed master of trompe l’oeil. Whereas traditional vanitas painting featured skulls or hourglasses as symbols of the transitory nature of existence, in Harnett’s painting allusions to death are found in extinguished matches, smouldering pipes and old newspapers, arranged in unstable, disorderly compositions. As John Wilmerding states, the ideas conveyed by the painter Thomas Eakins, his firm conviction about the connection between moral integrity and the solid three-dimensionality of nature, may have influenced Harnett’s work.